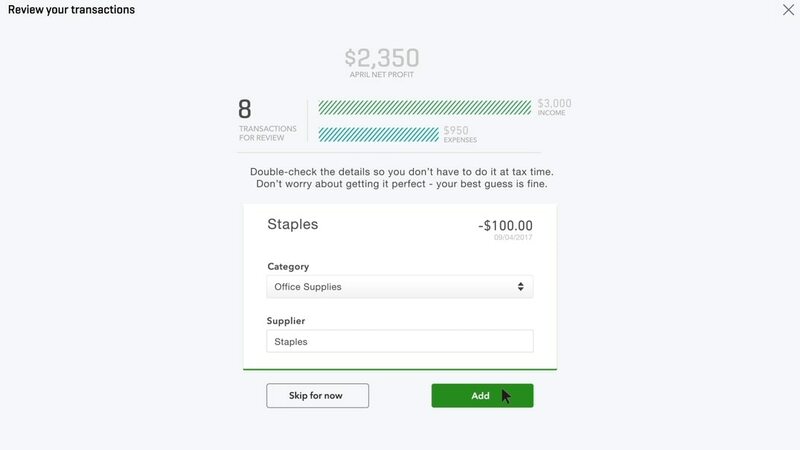 However you spend your money, QuickBooks can do a lot of the hard work in tracking it for you, from entering your bills and purchases to matching your transactions. 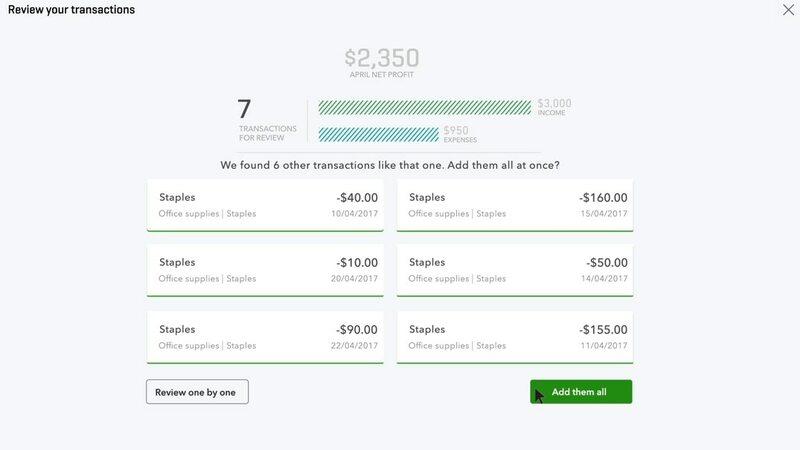 QuickBooks will even show you how much you’re spending in each category right from your dashboard. First let’s start with entering and paying your expenses. First open Bills. Go to the Plus Sign Menu and under Vendors choose Bill. Choose the supplier who sent you this bill. If this is a new supplier, you can add them now. Click Save. Only the supplier’s name gets saved. You can go to the supplier’s page later to enter additional information. Enter the Category by choosing the category for the service or products you’re paying for from the Account drop down menu. For example, you can select a utilities account such as Gas and Electric. Then just add the amount for this bill. If you’re entering more than one bill, click Save and New. If not, then choose Save and Close. 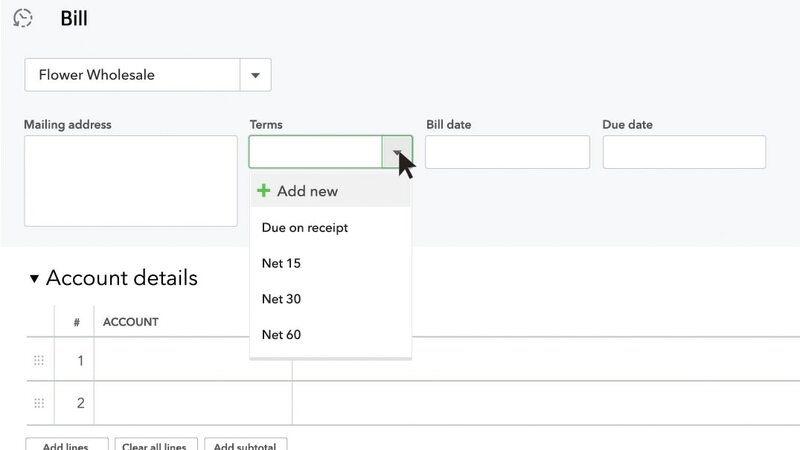 You can also wait to record the bill in QuickBooks until you pay it. If that’s the case, just enter a cheque if you used one to pay the bill. 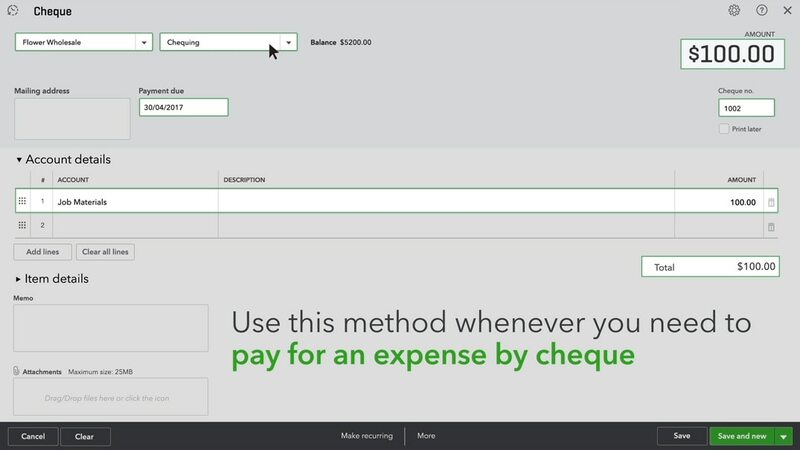 You can then use this method whenever you need to pay for a bill by cheque. You can also use the Expense form to record it in QuickBooks. Be sure to use this method if you paid with a debit card, credit card or electronic funds transfer. Instead of entering your bills manually, you can also download your transactions from your bank or credit card. 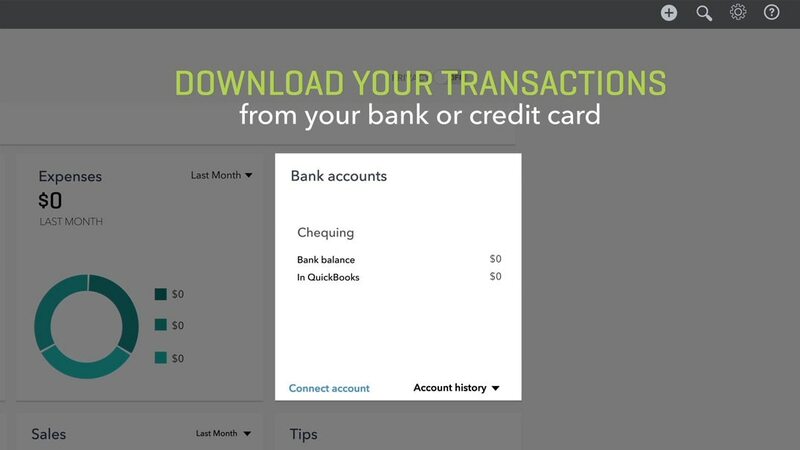 If you didn’t already connect to your bank and credit card accounts when you set up QuickBooks, you can do that now. Once you’ve entered your credentials, QuickBooks will walk you through the rest of the process of connecting your accounts. The first time QuickBooks downloads your transactions, you’ll have to review and categorize your expenses. On your Dashboard, go to the Profit and Loss section and click Review transactions. Then click Let’s do it to get started. The first transaction you see is an expense. 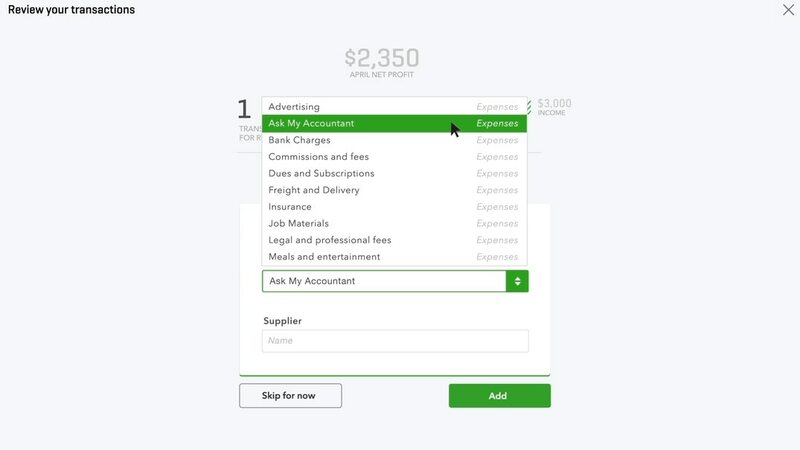 If possible, QuickBooks fills in who you paid and what it was for. In this case, the category is Office Supplies. You can change this information if you need to. In this case office supplies is correct so you would click Add to add it to your books. 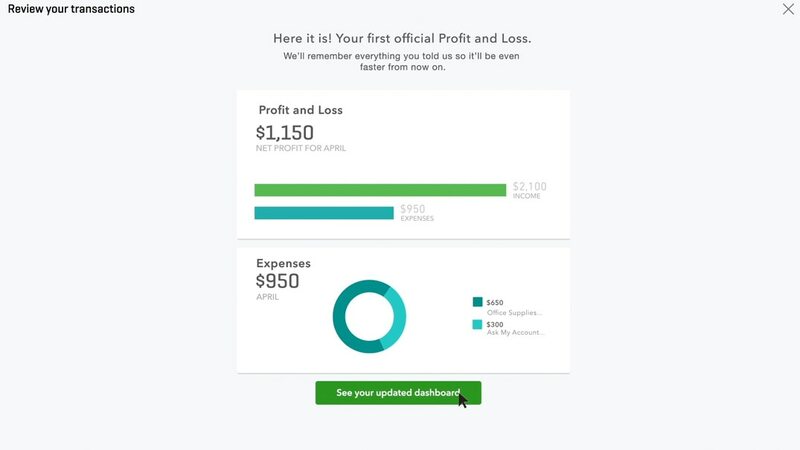 This is where QuickBooks starts to help you out. It’s found other expenses that look like the one you just added and has assigned them all the same category. If this looks right to you, click Add them all. If you’re not sure about a category, you can pick Ask my Accountant. 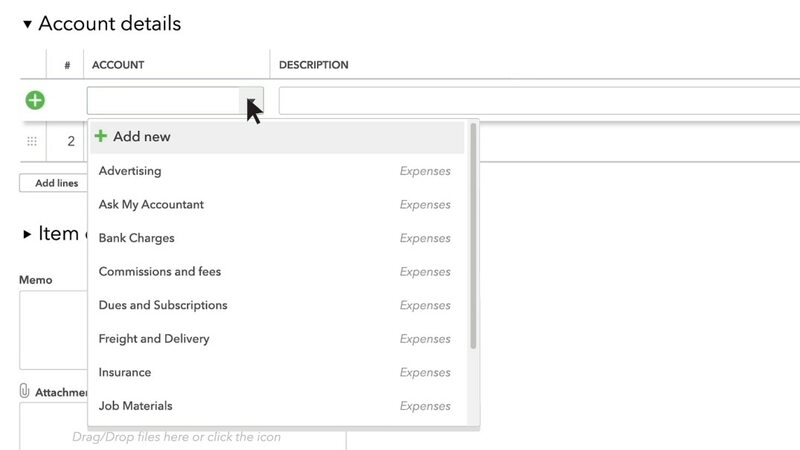 As you categorize more expenses, QuickBooks learns from you so it can help. A transaction in green means it recognizes that you categorized a similar transaction in the past, so it automatically assigns the same category for you. Click Add next to a transaction to add it to your books. If you see a category in black, that’s QuickBooks’ best guess for how to categorize this transaction. If it’s a wrong guess, just change the category and QuickBooks learns for next time.